After a month of detention, during which he was unable to meet with his lawyers, Yang Hua was arrested for “divulging state secrets” on January 22, a crime that the Chinese government often imposes on pastors who publicly oppose government attempts to restrict religious practice. He suffered several instances of horrific torture as prosecutors used coercive tactics in order to get him to confess to his crimes. They applied pressure to his toes, threatened his wife and two sons, and told him that they could kill him and make him disappear. After transcribing these details in an interview, his lawyers, Zhao Yonglin and Chen Jiangang, sued the prosecutors for “using torture to extort a confession” and demanded that the prosecutors be criminally charged. When the pre-trial meetings for his trial commenced, both Yang and the lawyers expressed their wishes that the prosecutors be disallowed from trying the case. Chen and Zhao also requested that the trial take place in a different court, since the Nanming District Court was under the influence of a special government headquarters dedicated to persecuting Huoshi Church and therefore was not an impartial judiciary. The court ignored their requests, and the Nanming District Court tried the case with Yang’s torturers serving as the prosecution team on Dec. 26, 2016, and he was sentenced to two-and-a-half years in prison on Jan. 5, 2017. Ulcers appeared on Yang’s legs on March 13, 2017, and spread rapidly. Yang consulted prison doctors, who wrongly diagnosed him and only gave him some ointment. The pain rendered him unable to walk as the infection festered, and he was rushed to the hospital, where physicians diagnosed him with severe vasculitis and told his wife his condition was critical. He was temporarily transferred to a new prison facility, where he is recuperating. Oct. 21, 2015: Huoshi Church received an administrative penalty notice stating that three rooms in a building registered and approved for business operations were instead being used for illegal gatherings. The document gave Huoshi Church until Nov. 21 to return the rooms to their approved usage, or the church would be fined 20 Yuan (U.S. $3) per square meter—a total of 12,960 Yuan (U.S. $2,030)—daily. Nov. 18, 2015: Huoshi Church received two more documents, one stating that they must demolish the church’s facility and stop all religious activities by Nov. 21. The other document contained information about the rooms that authorities stated were used improperly. Nov. 29, 2015: Officials raided Huoshi Church’s weekly service, took video footage and warned church leadership that they would be forced to pay the fine, which had accumulated to 100,000 Yuan (U.S. $15,650), if they failed to stop religious activities. Dec. 6, 2015: An official leaked a confidential document regarding the government’s plans to “deal with” Huoshi Church, and government personnel invaded Huoshi Church, taking photographs and videos of the premises. 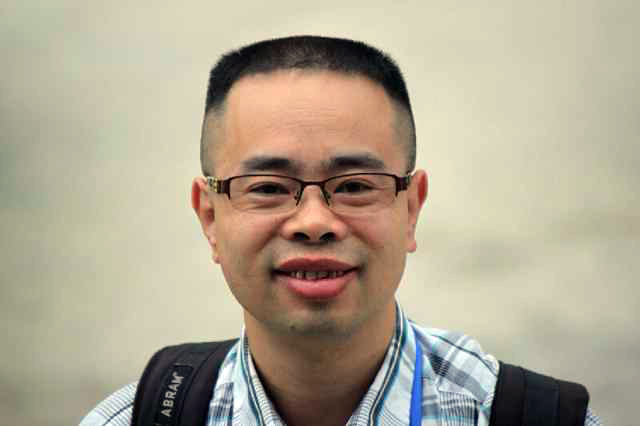 Dec. 9, 2015: Yang Hua, as a pastor of Huoshi Church, was administratively detained after he attempted to prevent authorities from the Nanming District Civil Affairs Bureau, the Nanming District Public Security Bureau, and the Nanming District Religious Affairs Bureau from taking a hard drive during a raid. Dec. 10, 2015: Yang’s relatives received a notice from the public security bureau stating that he was suspected of the “crime of obstruction of justice” and sentenced to five days in administrative detention. Dec. 15, 2015: Yang’s family members received another notice from the public security bureau, which changed Yang’s charge to “gathering a crowd to disturb social order” and sentenced him to five more days in administrative detention. Dec. 20, 2015: Wang Hongwu, Yang’s wife, witnessed her husband being put in a black hood and forced into an unlicensed vehicle when she arrived at the detention center to collect him. Later the same day, she received a notice stating that his charge had been changed to “illegally holding state secrets,” and that he placed under criminal detention at the Nanming District Detention Center. Dec. 21, 2015: Authorities refused to allow lawyer Chen Jiangang, who had been hired to defend Yang, to meet with Yang. Jan. 21, 2016: Chen attempted to visit Yang again but was denied, and Wang reported that officials have been thwarting her attempts to contact Yang. Jan. 28, 2016: Wang was permitted to see Yang and wrote a letter in which she stated that he was not in good health. March 8, 2016: Lawyers Chen Jiangang and Zhao Yonglin applied to meet with Yang, but officials rejected their request, stating they had not completed the necessary paperwork. March 16, 2016. Prosecutors tortured Yang Hua for the first time, threatening his life and family in order to get a confession. April 15, 2016. Prosecutors tortured Yang again, using similar methods. Fall 2016. Yang’s wife, Wang Hongwu, confirmed that he is suffering from a liver disease. Sept. 30, 2016. Pre-trial meetings began for Yang’s trial. Such meetings typically include the judge assigned to the case, the lawyers, and sometimes the defendant and aim to determine certain aspects of the trial, such as whether or not evidence gathered illegally will be accepted and reviewed. Yang did not attend the first of these meetings, but he requested in subsequent meetings that the court bar the prosecutors who tortured him from the hearing and re-assign new prosecution attorneys to the case. Dec. 26, 2016. Yang was tried, and authorities ignored his request for safety by allowing those who tortured him to serve as his prosecutors. Jan. 5, 2017. Authorities sentenced Yang to two-and-a-half-years in prison. March 17, 2017. Ulcers appeared on Yang’s legs and spread rapidly. Detention center doctors inadequately treated him, allowing the infection to fester, and he was rushed to the hospital, where physicians diagnosed him with severe vasculitis and told his wife he is in critical condition. He was transferred temporarily to a new detention center, where he improved. Huoshi Church is the largest house church in Guiyang, the capital of China’s southwestern Guizhou province. Founded by Yang Hua and several church leaders, the size of its congregation soon swelled past the capacity of the buildings in which it held its services, prompting church leadership to look for an additional location. After the church purchased a larger venue in 2014, authorities began to pressure them not to hold an opening ceremony, threatening a variety of legal repercussions, including a ban on the event and the subsequent arrest of all attendees. Additionally, they released a notice contending that Huoshi Church is not an approved religious group, denying the ordination of its pastors and outlawing all of its religious activities. Despite these threats, Huoshi Church held the opening ceremony. On Oct. 21, 2015, the church received an administrative penalty notice accusing them of changing the use of their locations from their officially-approved use, business operations, to a site for religious activities. The notice stated that a fine would go into effect on November 22 and accumulate ­­­­12,960 Yuan (U.S. $2,030) per day if the church refused to revert the premises to their approved usage. Su Tianfu, a pastor at the church, applied for an administrative appeal, but the court reject his application on January 11. When the church refused to comply with official demands, the local government dispatched officers to disturb its services on multiple occasions. These officials often refused to show identification, filmed sections of the church, confiscated church property and detained some of the Christians gathered there. In late 2015, Huoshi Church member Wang Yao discovered a confidential government document revealing that local officials had established an entire command center dedicated to persecuting Huoshi Church. Alarmed by this news, Wang shared it with another member, Yu Lei, who publicized it. Both were arrested on “divulging state secret” charges and are now released on probation. On the evening of May 19, 2017, officials from the Nanming District Religious Affairs Bureau knocked on Su’s door and notified him that Huoshi Church was being fined more than 7 million yuan ($1,020,200 USD), which they could not afford. The church called for a hearing on June 9, 2017, to dispute the fine, and, during the setup and duration of the court session, court officials broke multiple laws and protocols. No verdict was reached during the hearing, but authorities administered Su and Yang a second administrative penalty notice on June 27 and demanded that they pay the fine. In an interview, Su emphasized the difficulty Huoshi Church faces in conducting religious services after the government closed all three church locations. Currently, Huoshi Church members meet in small groups at the homes of fellow attendees.